I'm applying to teach at a private school which uses A Beka. I'm expected to plan a minimum of one physical activity for each outdoor session with the remaining time for play. I will be working with children in preschool, kindergarten, and grades 1, 2, and 3. Can you recommend good resources for appropriate outdoor physical activities for all four different seasons? 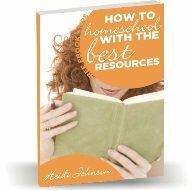 I believe homeschooling moms with multiple children will also find this information useful. We like using an exercise ball , Mini-Trampoline , scooters , swimming pool , riding bikes , and things like that for physical activity resources. It pays to have good resources like books and equipment. The books should give you some good ideas for indoor activities too. I hope that helps you. Let me know if you have any other questions.